FREAKY! 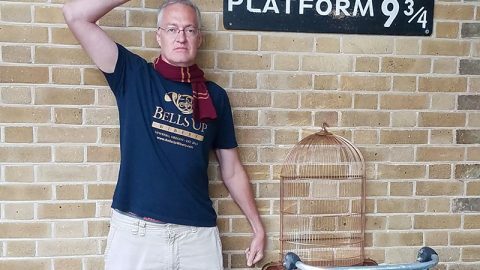 We were inspired by our intrepid, globe trotting spokesmodel and Fanfare Club Founding Member Scott, pictured above, to pop a 48-HOUR, 31% DISCOUNT FLASH SALE on the long- or short-sleeve version of the Official Bells Up Winery t-shirt to celebrate Halloween 2018. Just order by clicking this link and the 31% discount will automatically be applied to your entire purchase. 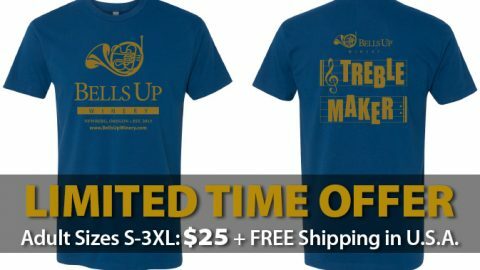 Don’t forget to show us—and everyone else—your brass by wearing Bells Up Winery’s Official Logo T-shirt. Then, tag us @bellsupwinery when you publish your selfie #bellsupmoment on Instagram, Facebook or Twitter for the world to see!